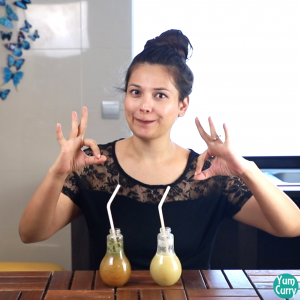 Aam panna is one the most popular summer drink recipe in India. 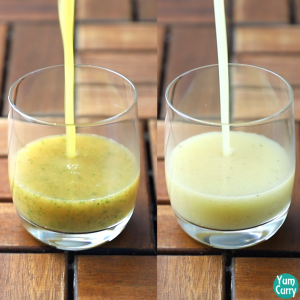 This is a aam panna 2 ways recipe in which I have prepared 2 different mango panna, one is sweet and one is tangy. Aam panna is very healthy specially during summers it keeps your body cool in order to prevent it from heat. 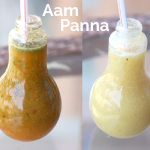 My mom always prepare aam panna 2 ways as my dad and brother like sweet aam panna and my mom and I like tangy aam panna. This is the reason I have prepared mango panna 2 ways. You can also add dry fruits in the sweet aam panna recipe. People also like to add jaggery in place of sugar so feel free to add it. In the tangy aam panna I have used salt, chilli powder, cumin powder, black salt and mint leaves, you can also add coriander leaves to it. Coriander leaves or cilantro gives a really nice green colour to the aam panna. 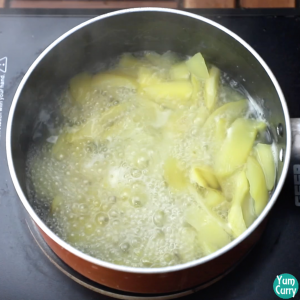 For boiling aam panna or mango panna, I peel off the mangoes and chop it roughly into small pieces then boil it in water. 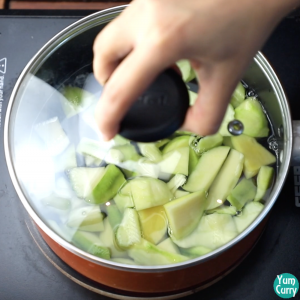 To reduce time and effort you can boil it in pressure cooker without peeling it off, just give it 1 or 2 whistles on high and it’s done, then squeeze out the pulp from the mangoes. My mom follow the latter process to avoid cutting the mangoes and to reduce the cooking time. 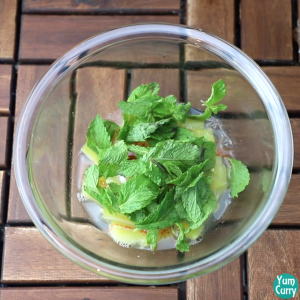 The tangy aam panna is so good that you can use it as pani for pani puri or golgappa. 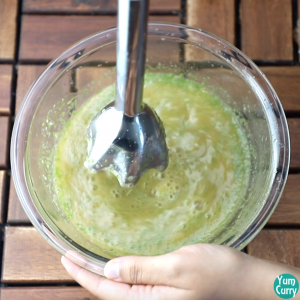 As I love pani puri, I love this tangy aam panna recipe so much. 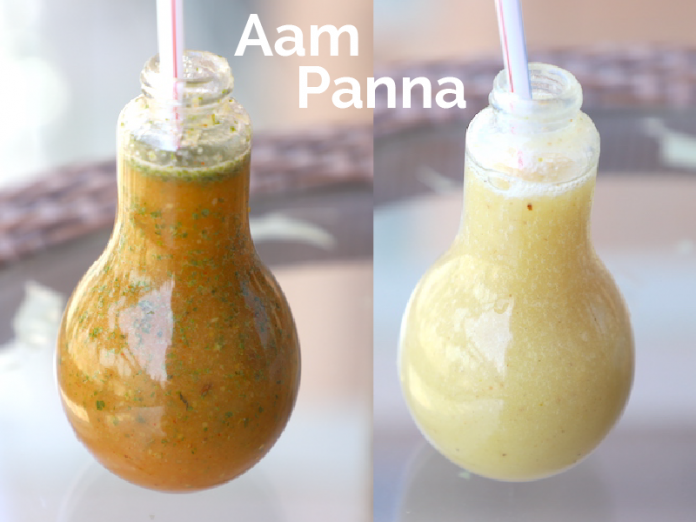 Hope you like this yummy aam panna recipe 2 ways from my kitchen. 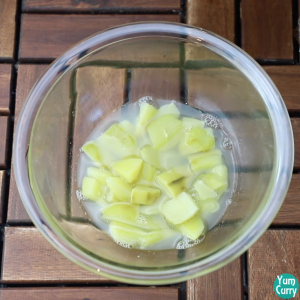 Let me know what do you think of this recipe in the comment section below. 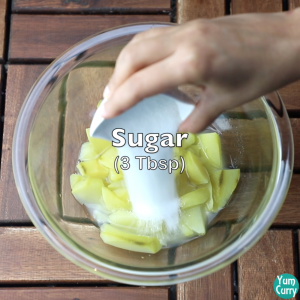 Please like and share this recipe with your friends and family. Happy summer! 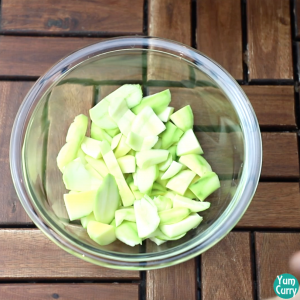 Firstly wash and peel off the raw mangoes and chop it roughly into small pieces. Boil them in water for 15 minutes on high heat until soft. 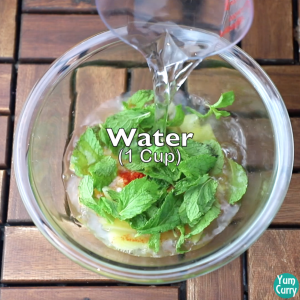 Cover the lid to cook it fast, you can also use pressure cooker to save the time. 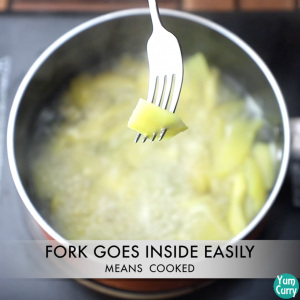 Check the mangoes using a fork, if fork goes inside easily means it's done. 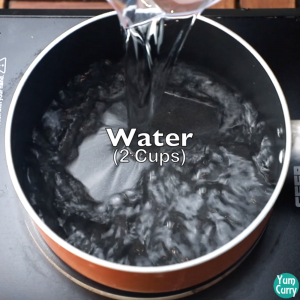 Turn off the heat and divide it equally into 2 bowls. 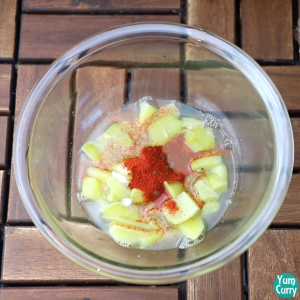 In one portion of the mangoes, add salt, cumin powder, black salt, chilli powder and mint leaves. 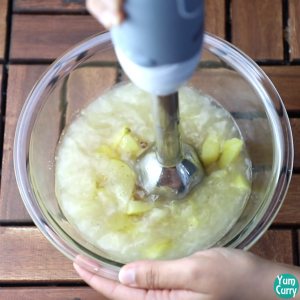 Add cold water as required and blend it smooth using a hand blender. 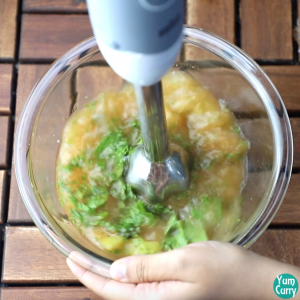 You can also use mixer for blending it. Serve it chilled with some ice cubes. 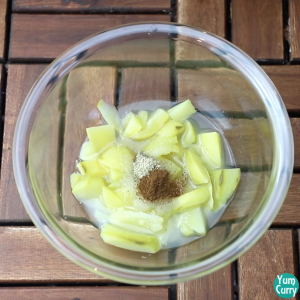 In other portion of the mangoes, add sugar, cumin powder and cardamom powder. Firstly wash all the mangoes and peel off the outer layer. Cop them roughly into small pieces. Insert a fork into the mangoes, if it goes inside easily means it’s done. 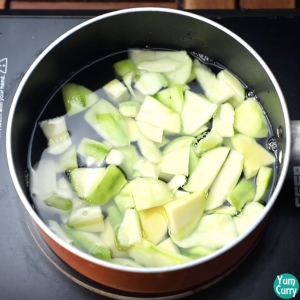 Turn off the heat and divide the mangoes equally into 2 bowls. To prepare tangy aam panna, in one portion of the mangoes add salt, black salt, cumin powder, chilli powder and mint leaves. Add chilled water to it, as required. 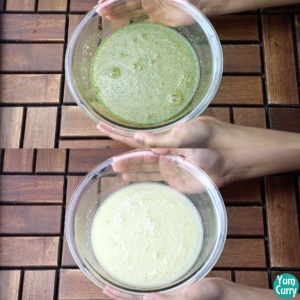 Blend it smooth using a hand blender. You can also use mixer to blend it. To prepare the sweet aam panna, in the other portion of mangoes add sugar, cumin powder and cardamom powder. 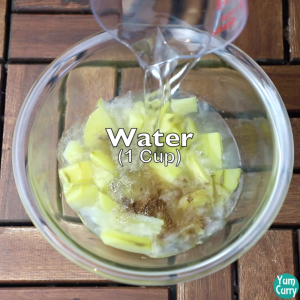 Add chilled water to it, as required. 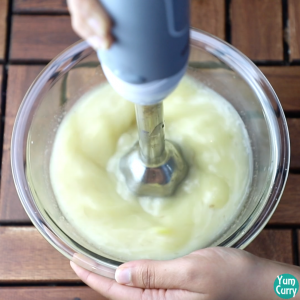 Blend it smooth using the hand blender. Serve chilled with ice cubes. Enjoy!